The separation between holiness and unholiness is getting clearer and clearer for all to see. It is getting easier and easier to spot the Erev Rav and their evil desires for money and honor while at the same time trying to destroy any holiness amongst Am Yisrael. Baruch Hashem, at the same time, there are many who are waking up and fighting back with increased holiness and cleansing of any impurities. The world is set for war and things are crashing all around. Those who are awake know this clearly and those who are asleep are still sleeping. We wanted a generation afraid of silence; suspicious of contemplation. We succeeded there too. Rebbe Nachman teaches us that the main thing in these times of Moshiach is emuna, and the main way to get emuna is by talking to G-d. Asking Him to help us and guide us, this is the best way out, because as the article below will explain, even those of us who think we are 'awake' are really just asleep in another level of their evil programming. Those who are already awake need to just work on saving themselves with real tefilla and teshuva. Kedusha is our main protection from what's to come. With holiness, Hashem will be in our midst protecting us and fighting all of our battles. Get rid of anything that contains even the tiniest bit of unholiness in it, clothing, books, gadgets, internet, etc. If you are still waiting for things to get better in chutz laaretz, I have news for you, things will never get better out there. You are fighting a loosing battle, give it up and get over here right away, it may soon be too late to get out. The Shechina is fast on its way out of there and there is hardly anything left to hold on to before it all sinks down. It's all an illusion out there soon to fade away. Yes, that novel excerpt is scary.My husband and I have been looking into Aliyah (I emailed a little while back- a few weeks ago.) I appreciate your call to duty. i appreciate your blog and do look forward to reading your views. as a noahide of more than 20 years, i am also very attached to breslov and chabad and there are rabbis there personally helping me throughout, all this would have been impossible if not for the internet. where i live, there are no jews, syngs or anything jewish. 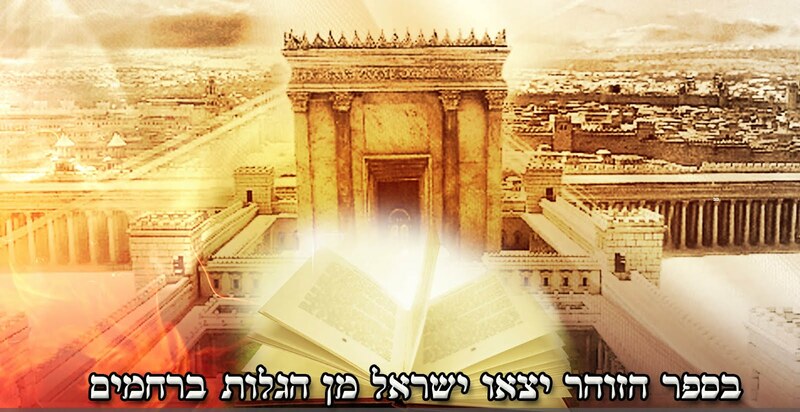 yet today, Hashem has allowed the light of the torah to reach the darkest places on earth. ofcourse we should avoid the wrong side of the net. thanks for an inspiring article.